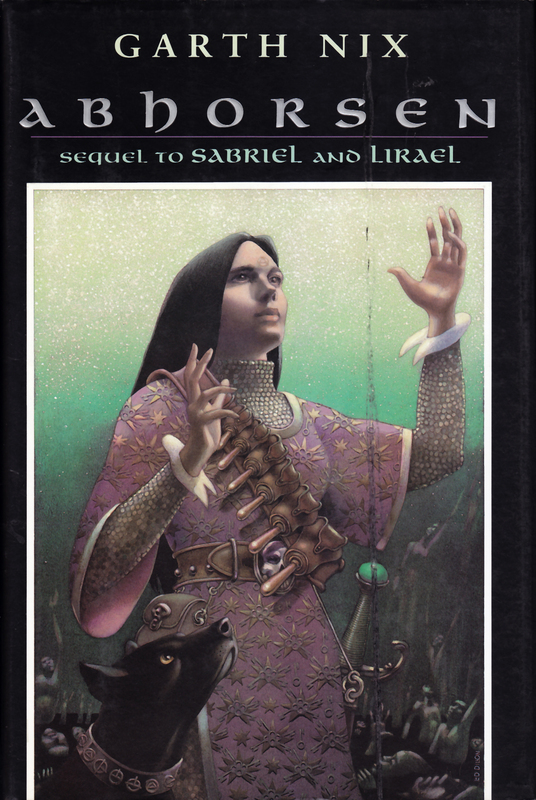 Sabriel is the daughter of Abhorsen–the Charter necromancer who puts the restless dead beyond the ninth gate. She has been sent outside of the walls of the Old Kingdom for her education, seeing her father in person only a few times a year, but seeing him in death more frequently, as Abhorsen trains her in their arts. Mrs. Umbrade certainly didn’t want to know how Sabriel saw her father. Sabriel, on the other hand, always looked forward to his unofficial visits and watched the moon, tracing its movements from the leather-bound almanac which listed the phases of the moon in both Kingdoms and gave valuable insights into the seasons, tides and other ephemerae that were never the same at any one time on both sides of the Wall. Abhorsen’s sending of himself always appeared at the dark of the moon. Because of course there is Moggett. (A)s the cat thrust its head up, she saw the collar around its neck and the tiny bell that hung there. The collar was only red leather, but the Charter-spell on it was the strongest, most enduring, binding that Sabriel had ever seen or felt— and the bell was a miniature Saraneth. The cat was no cat, but a Free Magic creature of ancient power. Mogget yawned, showing a pink tongue that seemed to contain the very essence of scorn. There are so many lovely bits about travel in a medieval kingdom, and how two travelers might work together. “One, two, three, push!” announced Mogget. Sabriel pushed on “three” and Touchstone on “push,” so their combined effort took several seconds to synchronize. This is a YA book about death, but it’s not dark and depressing–there are some sad parts, but that is as it should be, for a book about a Charter necromancer. The world-building is lovely, and Sabriel is marvelous, a young woman alone, yet not without resources. I'd been looking at Sabriel for awhile but hadn't picked it up to read, mostly because I already have too many books to read in my spare time , but I read some positive comments about the books, and decided to read them over the break. The books were very good. The stories are set in two connected worlds. There is the world that feels to me a bit like England before WWII, and the magical world, whose entrance is guarded by a military conversant in weaponry both modern and medieval. 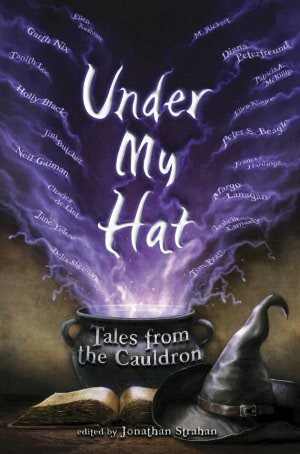 In the first book, Sabriel was sent to school in the mundane world, with a magical education, but must then go live in a magical world of which she has few memories and a more theoretical than actual education. Mogget didn't answer, but sat at her feet, and made a movement that looked very much like he was going to be sick. Sabriel recoiled, disgusted, then halted, as a small metallic object fell from Mogget's mouth and bounced on the floor. "Almost forgot," said Mogget. "You'll need this if I'm to come with you." The characters are excellent, and the story is fantastic. Despite being a fast read for me, the characters were well developed, as was the plot. The story and the settings are unique, as are the characters, which is always a good thing. The second book was my least favorite of the trilogy. Set several years after Sabriel, the main characters are Lirael and Sameth, with appearances by Mogget and the Disreputable Dog, a character Lirael conjures to combat her loneliness, but who is much more than expected. Lirael I like quite well, Sameth, however, I found irritating for most of the book, and read through his sections very quickly. Nevertheless it is still a good book, and well worth reading as it provides all the backdrop for Abhorsen, the third book. 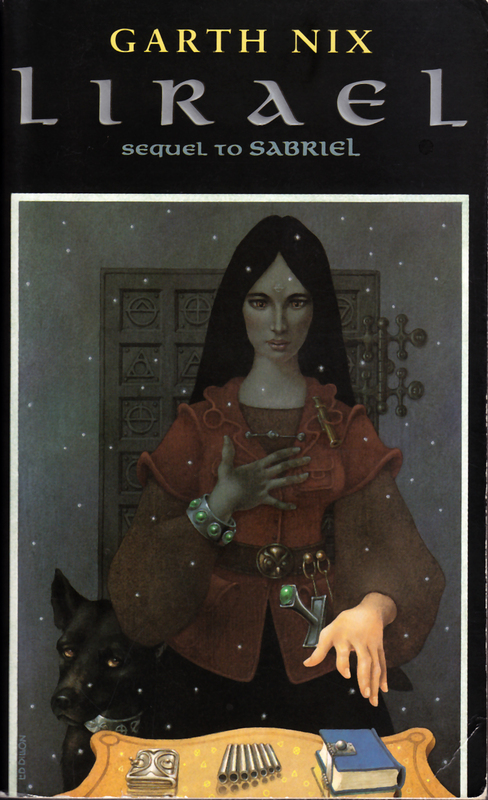 Abhorsen keeps Lirael as the main character, although other characters from the first and second books do play important roles. The story moved along at a much more rapid pace than Lirael, which didn't make Lirael a bad book, just a slower moving one. Excellent books. I highly recommend them. Go buy them and start reading them right this instant, you'll like them. I absolutely loved Sabriel. 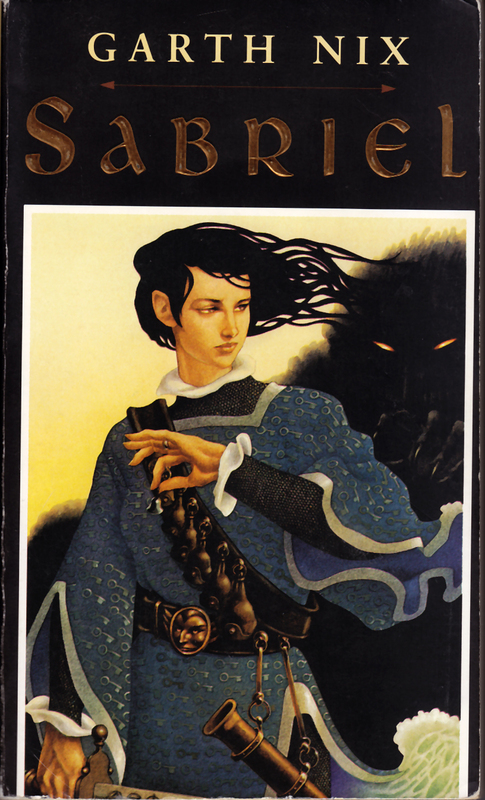 The rest of the Abhorsen trilogy was good, but Sabriel was fantastic. So I am prepared to give anything written by Garth Nix a chance. I picked up Across the Wall for two reasons. First, because I like his writing, and second, because this is a short story collection, and I love short stories. Interestingly, yet unsurprisingly I suppose, I have already read three of these stories. 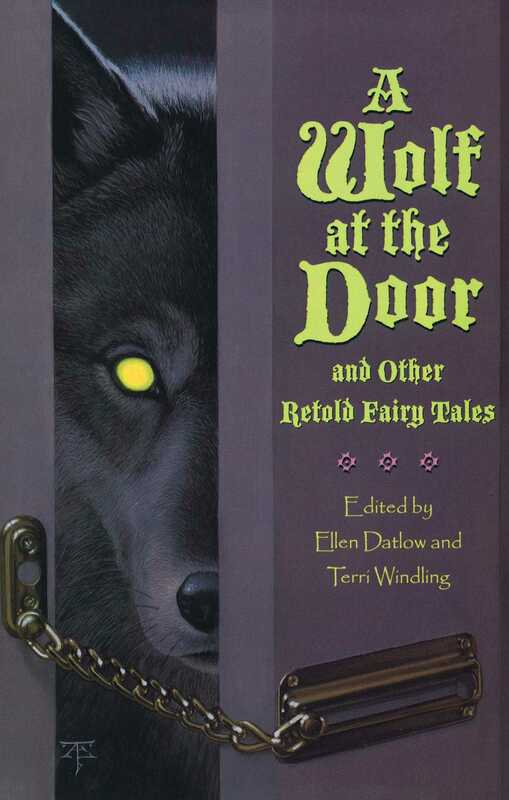 "Hansel's Eyes" appeared in A Wolf at the Door. 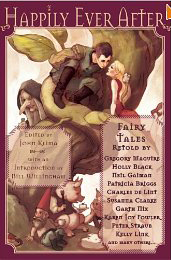 As with all the stories in that collection, it was a retelling of a fairy tale, in this case, Hansel and Gretel. It's an eerie tale, but then so is the original. However we are so familiar with the original that it has lost much of it's power to shock. This tale restores that sense of shock. I also particularly like the ending, which follows the original but takes it one tiny step further. 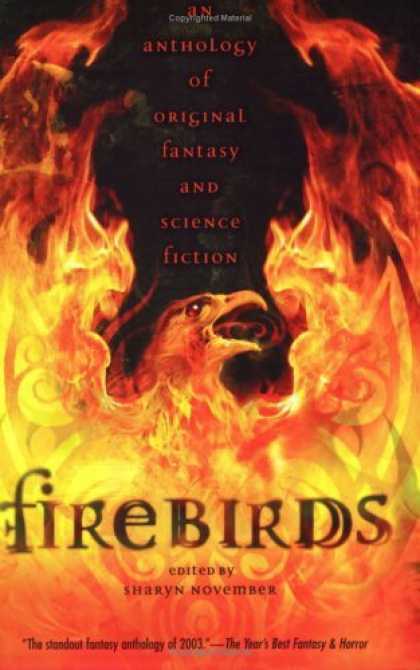 "Hope Chest" appeared in Firebirds, which I read last year, but apparently never reviewed. 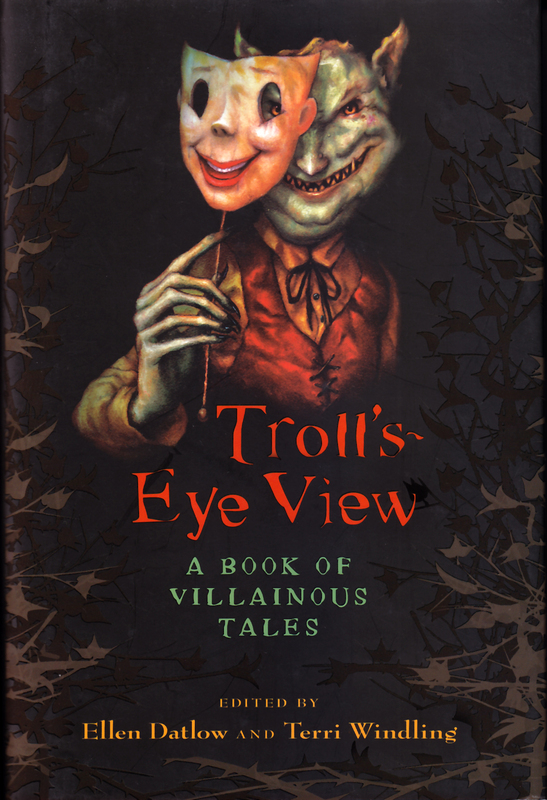 This is another good story, and like Hansel's Eyes, is quite different from his other stories. It's a Western and a fantasy at the same time. What I like best about these stories is that Garth Nix does an excellent job of writing strong female characters. "Heart's Desire" was in an Autherian anthology, and I remember reading it, but I don't remember the rest of the anthology. The story wasn't as good the second time, because I vaguely remembered what happened, so the ending wasn't very surprising. 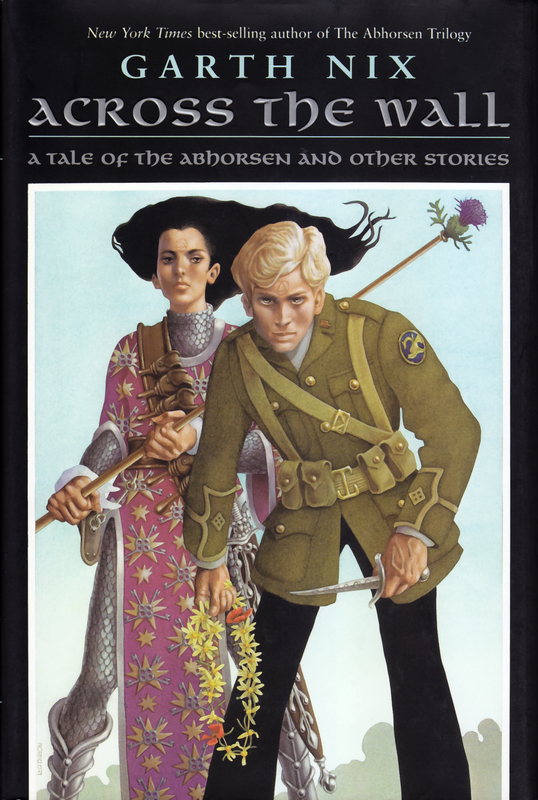 As for the remaining stories, "Nicholas Sayre and the Creature in the Case" returned to Ancelstierre of the Abhorsen Trilogy. It was a good story, but served to remind me that I have forgotten much of the second and third books in that series. I may well have to remedy that situation here in the near future. The remaining stories were all good. I partiularly liked "Under the Lake" which would have belonged in the Grails anthology (another book I read and forgot to review). "Down to the Scum Quarter" was fun and amusing. It's a "choose your own adventure" story, and I need to go back and take some other paths to read the other choices. It starts out great, and then goes from there. 2. Go down to the costume rental shop and get a Three Musketeers outfit. This is called "getting into character." 3. If you're old enough, stop by the liquor store on the way back and pick up a few bottles of cheap red wine. What is it about authors who love "The Three Musketeers"? 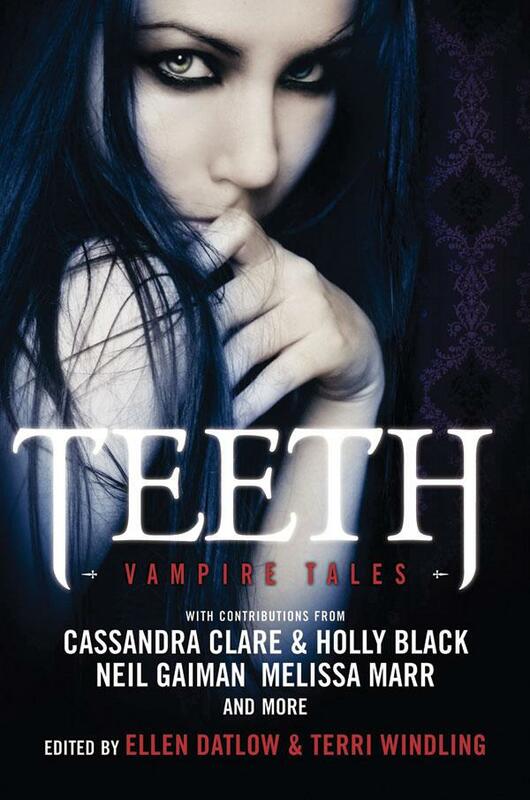 What surprised me most about this anthology is how dark the stories are. 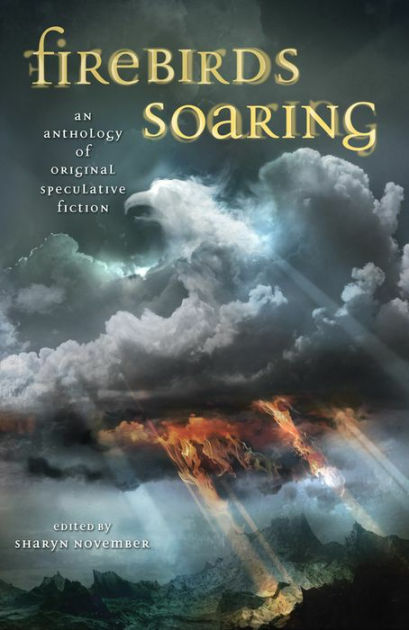 "Charlie Rabbit" and "Lightning Bringer" are very dark stories--far darker than I would have expected. They're good stories, but they're quite dark. All in all, this is a good anthology. 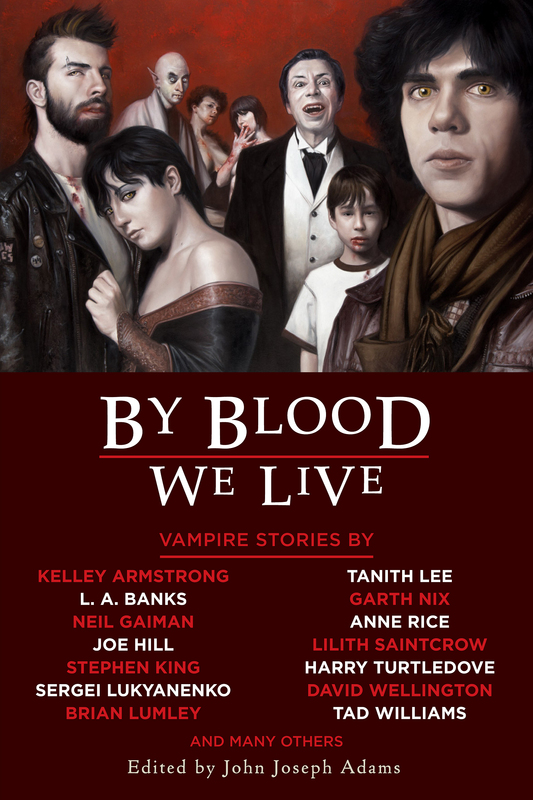 If you have not read these stories in other anthologies, then I definitely recommend this collection. I absolutely loved Sabriel. The following two books were also excellent, but I just adored Sabriel. I also liked his collection of short stories, Across the Wall. So when I saw he had another series, The Keys to the Kingdom, I... hesitated. Sometimes when an author has written a book (or series) that I love, I'm afraid to read another book (or series) for fear it won't be as good, and then I'll be crushed. Although this has happened before (Piers Anthony--I'm looking at you) it doesn't happen that often, so it's a somewhat ridiculous fear. Yet, I still hesitated to buy Mister Monday, and after I bought it, I hesitated to read it. However, once I started reading it, I plowed right through and read it in two sittings (Okay, it's a young adult book, and I can usually rip through those in no time, but I had important things to do. Like sleep and go to work.) No more hesitations. Arthur Penhaligon (which I continually misread as Arthur Pendragon) has asthma. Serious asthma of the kind that can kill you. And in fact it was supposed to kill him, yet that death is postponed when a strange man offers him a key shaped like a the minute hand of a clock. His acceptance of this key not only saves and changes his life, but affects the lives of everyone around him, as a strange new plague suddenly strikes the city--a direct result of his taking possession of the key. Arthur is having a rough time of it. He's sick. He's the new kid in school. And he missed the first week of classes at his new school because he was sick. What I found interesting is that he ends up almost dying not because he was foolish or stupid, but because he believes that he has to obey his teacher--even if he's pretty sure trying to run is going to be really bad for him. It's very a interesting idea--we want children to be obedient to the adults around them, yet those adults don't always listen or pay attention. Which puts kids in an awkward position. As with other Garth Nix stories, I was never quite sure where the story was going. Sure, I knew that Arthur would eventually achieve his goal, but I was never sure how he would do that, or what he might lose in the process. But mostly this was a good story that pulled me in immediately. I also found it interesting that this book, written for older kids, was in many ways more thought provoking than most of the adult fantasy I've read recently. If you've read Sabriel, Mister Monday seemed to be written for a slightly younger age group (although not much younger. Maybe junior high?) but that shouldn't stop someone who was older from picking up the book and enjoying the story. Especially someone much older who could care less what age group a good book is written for. And I really liked Garth Nix's Hansel's Eyes. It was one of the tales that kept closely to what I like best about folk and fairy tales--the fact that things aren't always neat and nice. Hansel’s Eyes, by Garth Nix, was another re-read, but one I enjoyed as much the second time around. “Vampire Weather” by Garth Nix was a story I had not read before. Vampirism has become an epidemic, but Amos belongs to a secluded religious community that stubbornly clings to the “old ways”. For some reason, when I first read this, I thought it ended differently than it actually did. Garth Nix‘s story, A Handful of Ashes was, like every other story of his I’ve read, very good. Mari is working her way through school as a sizar. Unfortunately, like all poor children everywhere, the rich kids don’t like the poor scholarship kids, and so try to make their lives a living hell. In Mari’s case, however, this group of girls may succeed in more than making the lives of the sizars hell. I really liked this story.